Sinumerik Alarm 6431 Function not allowed. Tool management/monitoring is not active. Occurs when a data management function is called which is not available because Tool- Man is deactivated. For example, the language commands GETT, SETPIECE, GETSELT, NEWT, DELT. • Please inform the authorized personnel/service department. • Make sure of how the NC is supposed to be configured! Is tool management or tool monitoring needed but not activated? • Are you using a part program that is meant for a numerical control with tool management/tool monitoring? 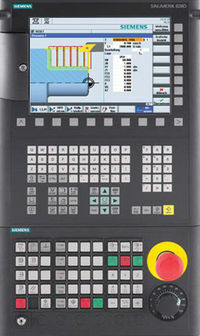 It is not possible to start this program on the numerical control without tool management/tool monitoring. Either run the part program on the appropriate NC control or edit the part program. • Check whether the required option is set accordingly.